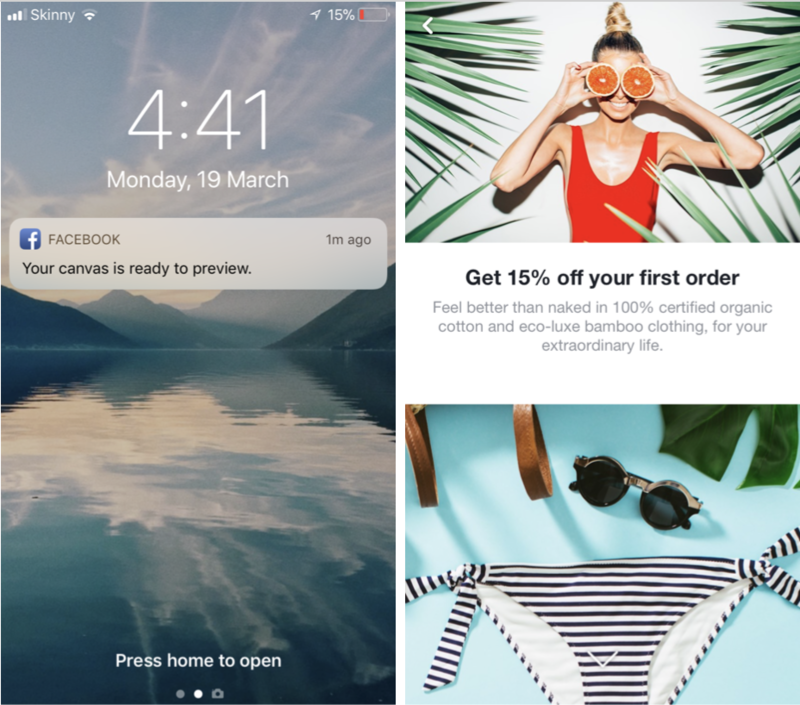 In February 2016, Facebook introduced Facebook Canvas ads – a full-screen ad experience that brings ecommerce to life on mobile devices. At first glance, a Canvas ad could be mistaken for a regular newsfeed ad. However, when clicked, it opens up to cover the entire mobile screen. 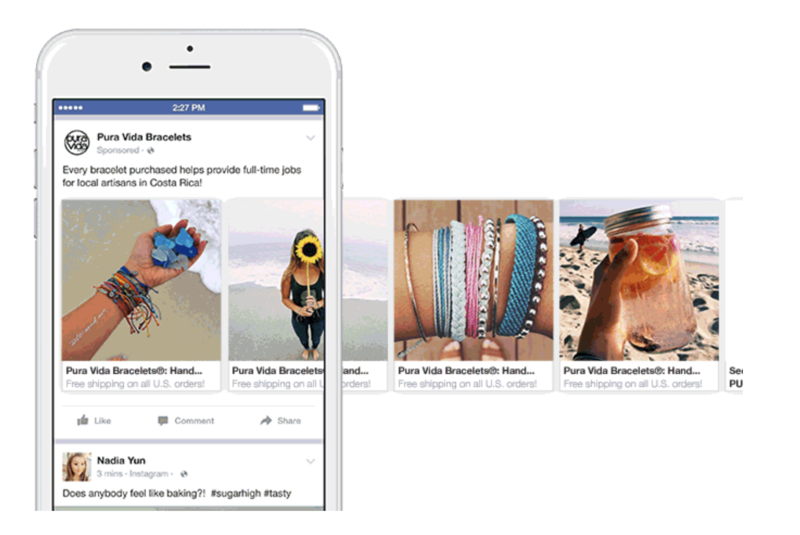 Combining videos, photos, GIFs, and call-to-action buttons, it delivers what some call a “microsite-like experience” that allows people to click, scroll, swipe, and tap to engage with brands right on the Facebook platform. 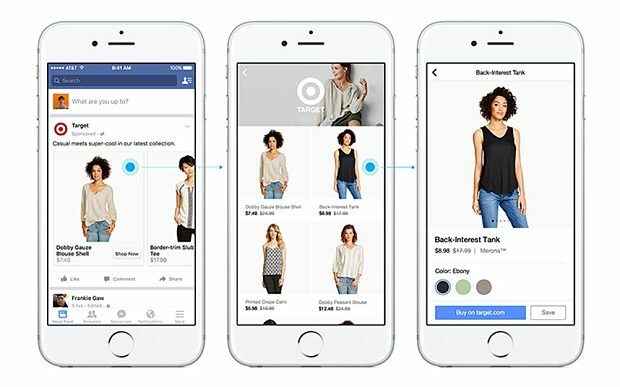 The Facebook team says the data tells them that people are discovering content, brands and products in mobile apps, so advertisers are looking for new and creative ways to share information with people there. In 2016, global mobile data traffic amounted to 7 exabytes per month. 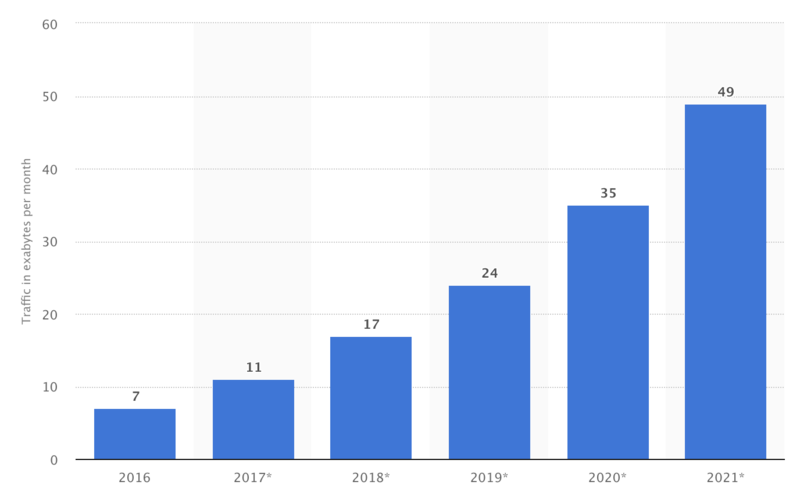 In 2021, mobile data traffic worldwide is expected to reach 49 exabytes per month at a compound annual growth rate of 47 percent. Everyday mobile activities such as mobile social media usage, including online shopping. I’ve been in digital marketing for 6 years (calm down, I’m only 25 now:)) and I know the the inside tricks and I still click and convert! 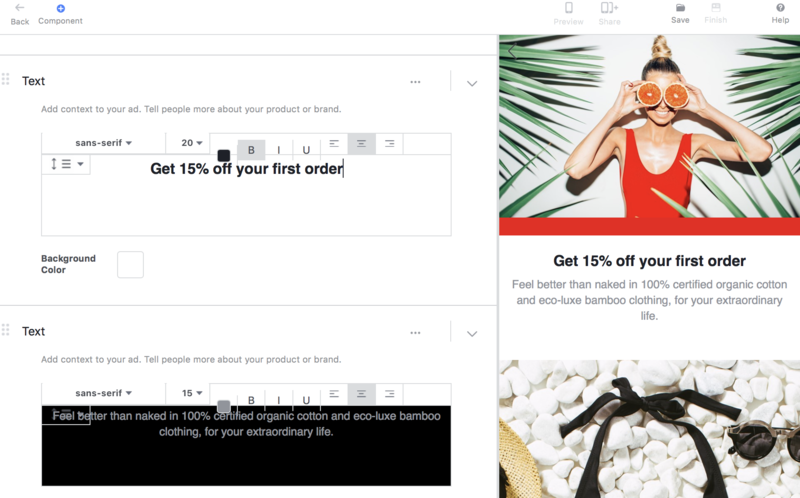 I’m a shopaholic who devoted her life to ecommerce, and I want to figure out whether Canvas is truly the best option to promote e-retail business. 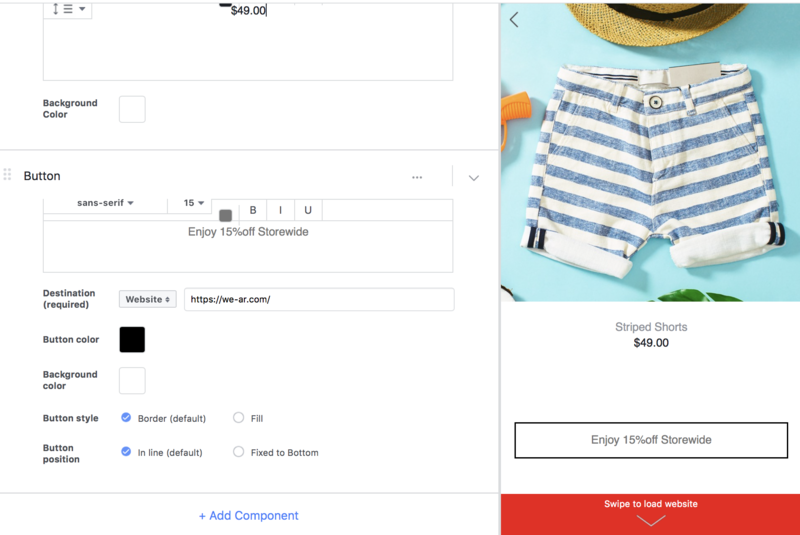 Generally, there are three types of Facebook Ads most effective for ecommerce: Carousel, Dynamic Product, and Canvas Ads. Carousel style ads show 3-5 images and/or videos, headlines and links or CTAs in one space—the audience is able to scroll through the ads horizontally on a desktop or vertically on mobile. This type of ad can be used to showcase specific products or apps, to tell a story through carousel imagery or show one long, high-quality image. 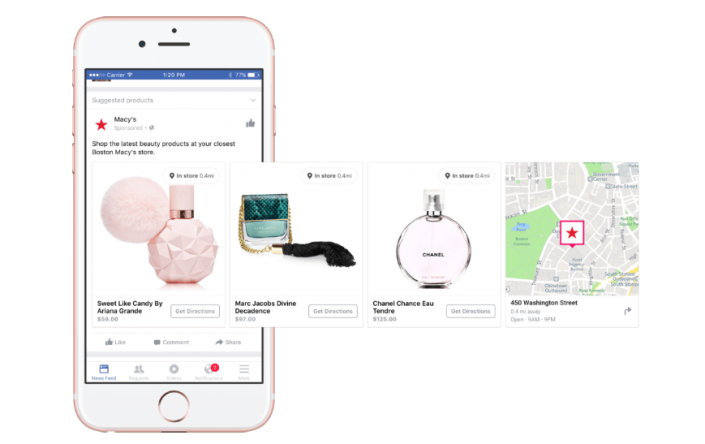 In contrast to Carousel Ads, Dynamic Ads are focused on retargeting: Facebook will show the product your visitor saw on your website. 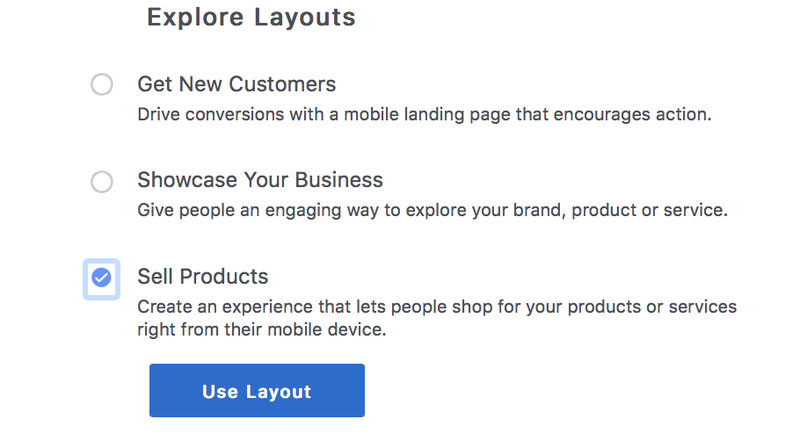 But with Facebook Dynamic Product Ads your potential clients are transported to a landing page that loads so slowly or is not optimized for mobile devices. Instead of exploring the brand further, people were opting out and abandoning landing pages before they get more frustrated. I see this Ad because I was interested in these perfumes on Macy’s website. It is a dynamic retargeting Ads. 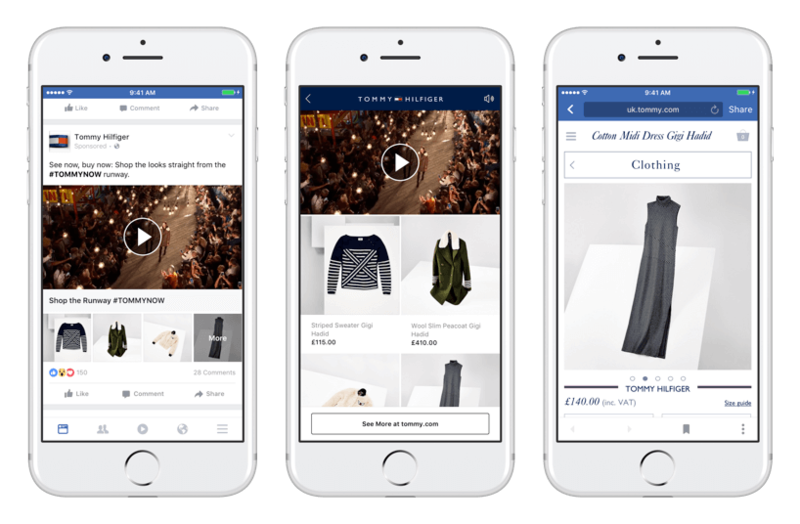 Facebook Canvas Ads were created as a response to the issues of Carousel and Dynamic Product Ads, replacing ordinary landing pages into fast and immersive mobile brand experiences. 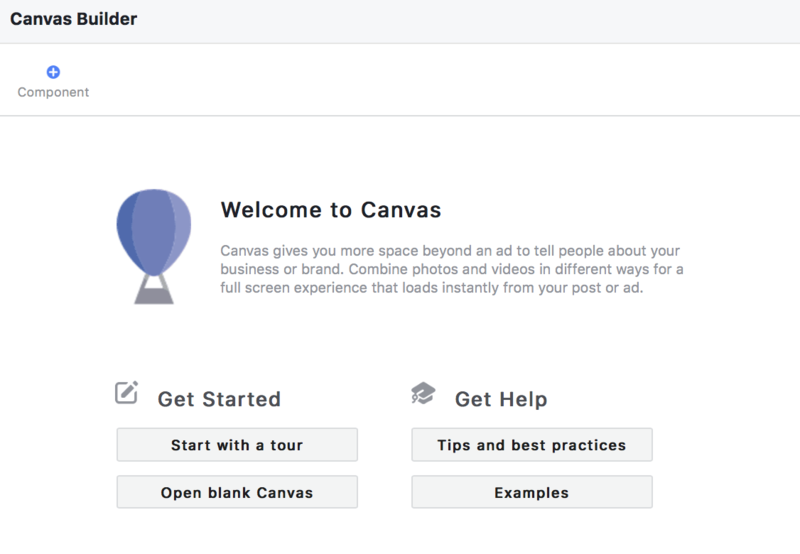 With Canvas advertising, marketers will now be able to share their landing page information quickly and in a more mobile-friendly way after people have clicked on their ads, inspiring actions that will hopefully lead to better conversions. A remarkable 53% of users that open a Canvas ad view at least half of it, and the average view time per ad is a shocking 31 seconds. 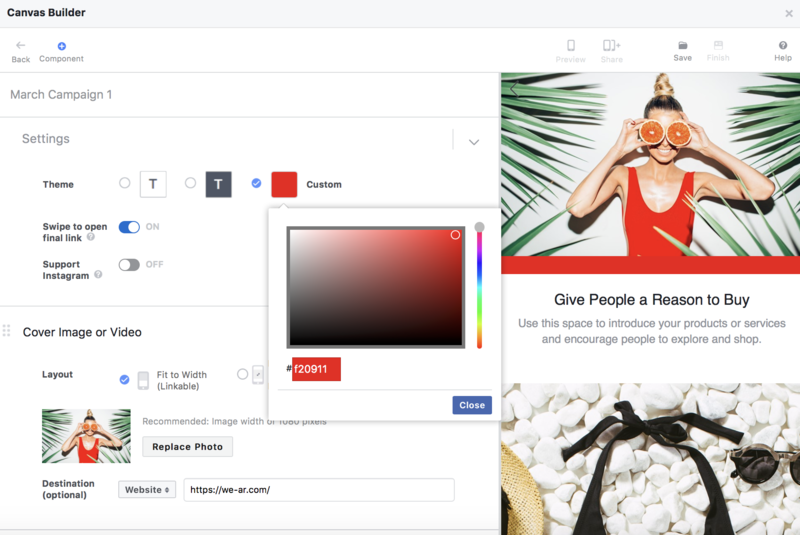 To get started using Canvas, visit your page’s publishing tools, and then select “Canvas” at the bottom of the page, and click on the button to create a new Canvas. Once you get started, you will be able to look at examples and tips. Because Canvas is a relatively new feature, it is worth your time to go through a tour, tips and best practices. Once you choose your layout: get new customers, showcase your business or sell products you can start creating your Canvas. 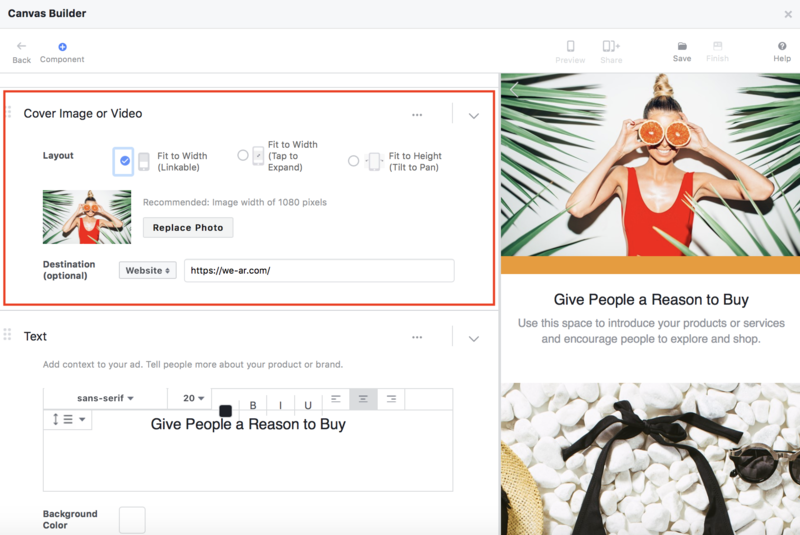 The title for your Canvas is an internal label that helps you keep track of your various different Canvas options available as you build more than one. You can choose white, black, or a custom color for your Canvas. This is where it is useful to have an agency branding and style guide that includes all your brand colors. Add context to your add and tell more people about your brand or product. Start uploading your products and describing them. You can add up to 20 images for one Canvas ads. You can add a call to action button and lead to a particular collection or offer them to discover your website. You will receive a notification on your phone to preview your Canvas ad. Scroll your ad and double check your links. Now you know how to create your Canvas. If you need some inspiration, check out these 8 awesome Canvas examples from big names. It looks like it would be great & I may want to try it. 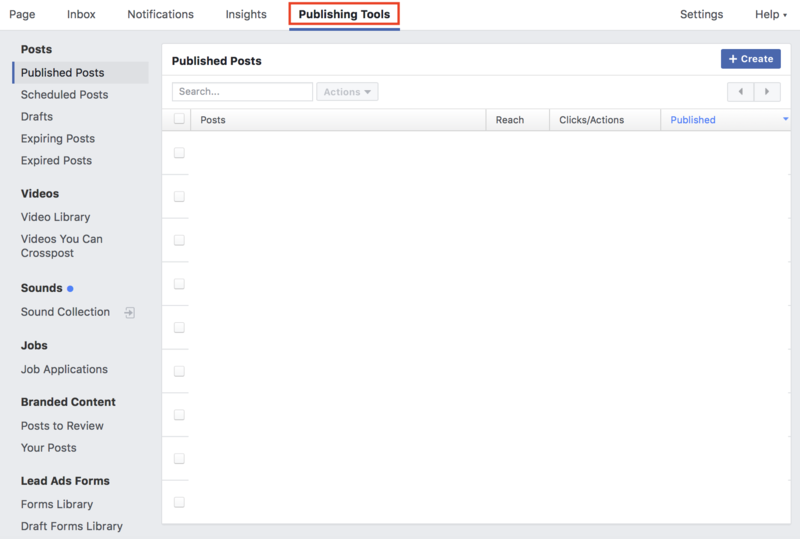 But so far, the only FB ads I have done were to get people back to my Facebook page for likes or for a blog post. Do all FB ads start that way? How do you choose the people you hope will see your ad – same way as the way I did before, I guess? I will have to give them another try. Thx! Thanks Bogdan for making the post on Facebook Canvas Ads. It was very helpful.